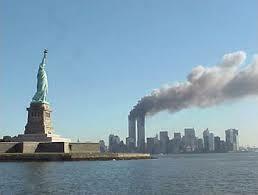 Thirteen years ago this morning the 9-11 plane attack occurred. With several friends and many acquaintances losing their lives in the terrible attack, I wanted to remember them, and all of their families. My personal wish is to move our country more towards the unity we had just after the tragic event. Race, nationality, gender, political affiliation or geographic location (world-wide) … the boundaries were down and we all united. Maybe out of respect and remembrance for those friends and families we can all try once again to move closer to unity…. just my personal wish !! This entry was posted in John Kvale, Personal, World Political and tagged 9-11, Personal Wish. Bookmark the permalink. Couldn’t agree more! Thank you for voicing what should be the common goal for everyone today and always! May God bless everyone.